For years, the alarming phenomenon of the depopulation of the inland areas of Sardinia has been written about, and there are questions about possible solutions to stem this devastating demographic decline. 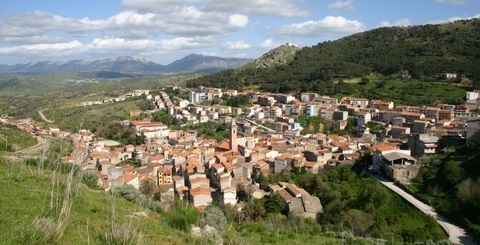 Bitti is one of the most important centers of northern Barbagia. Today there are about three thousand permanent residents enrolled in the registration offices, but just 50 years ago, there were more than twice that number. Mayor Joseph Ciccolini launches a challenge, together with the community, to revive the image of his country. He introduces a project aimed at recovering and selling uninhabited houses at very affordable prices to those who decide to invest in a place of beauty and memory, rich in tradition, history and archaeology. There are more than over a hundred uninhabited homes currently available for new buyers at a very low cost. Through a real estate brokerage, activities proceed with a census of the houses; a data-sheet is prepared which entails the characteristics of the property, and the price is given. Through a public announcement, the end of this step opens the selection of subjects (private or real estate agent) interested in purchasing homes. For the municipal administration of Bitti to improve the historic center, the museum of tenor singing and the completion of the International Scout Center are the fundamental objectives in reviving the resettlement of the city.